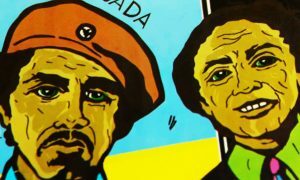 The contributions of Latinos to American history and culture can be traced back hundreds of years. In fact, the oldest continuously occupied European settlement in the country was established in 1565 by the Spanish admiral Pedro Menéndez de Avilés, in St. Augustine, Florida. A few years later, in 1598, Juan de Oñate departed Zacatecas, México bound for what would become New Mexico, and on the way celebrated the first Thanksgiving in America with his expedition in San Elizario (Texas), along the banks of the Río Grande. Subsequent Spanish incursions led to establishing Santa Fe in 1607. Since then, Latinos have played a significant role in shaping this country’s history. Today, Latinos make up 17.6 percent of the nation’s total population, or 56.6 million, according to the U.S. Census. This year marks the 20th anniversary of the Smithsonian Latino Center, which is dedicated to telling the stories of the millions of Latinos who have made contributions to the U.S. Smithsonian Insider spoke with its director, Eduardo Díaz, to find out more about its role in increasing the Latino presence at the Smithsonian. 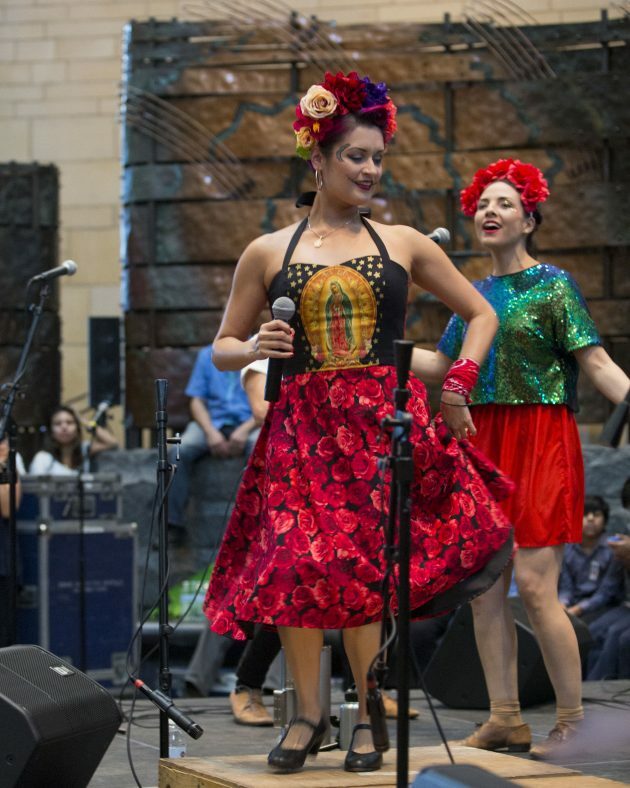 Las Cafeteras perform at the Day of the Dead festival at the Smithsonian’s National Museum of the American Indian, co-presented with the Smithsonian Latino Center, Nov. 2016. The festival is made possible by the Latino Initiatives Pool, a federal fund that provides support to programs, exhibitions, research and more throughout the Smithsonian. (Photo courtesy of the Smithsonian Latino Center). Q: Why was the Smithsonian Latino Center established? Díaz: The Smithsonian Latino Center was established in response to a 1994 report titled “Willful Neglect: The Smithsonian Institution and U.S. Latinos,” which outlined a lack of Latino representation at the Smithsonian. The report was created by the Task Force on Latino Issues, which was established by Smithsonian Secretary, Robert McCormick Adams, and was composed of 15 Latino scholars and museum professionals from outside the Smithsonian. It was a courageous thing to do for the Smithsonian, because it was admitting that it was doing a poor job of representing the contributions of the Latino community to the nation. The task force made recommendations for increasing the Latino presence at the Smithsonian that led to the creation of the Center for Latino Initiatives in 1997, which later changed its name to the Smithsonian Latino Center. Young Ambassadors Program participants at the Smithsonian Conservation Biology Institute in Front Royal, Va., June 2016. The program brings graduating high school seniors to Washington, D.C. for a week of unique learning experiences at Smithsonian museums and research centers. (Photo courtesy of the Smithsonian Latino Center). Q: What is at the core of the Smithsonian Latino Center’s mission? Díaz: It’s truly all about presence. Our mission is to ensure an adequate Latino presence at the Smithsonian. I like to break down the one big “P” (presence) into three small “Ps”: programs, people and place. Programs: The Latino Center acts as an idea incubator to support content that tells the stories of the contributions of Latinos in nation-building and shaping national culture. We administer the Latino Initiatives Pool, a federal fund that provides financial support to programs, exhibitions, research, collections and archives, and publications at Smithsonian museums, research centers, and the National Zoo. Some of the programs, exhibitions and collections we support include the YES! (Youth Enrichment Through Science) Program, which engages Latino students in research projects with scientists at the Smithsonian’s National Museum of Natural History; the current Smithsonian American Art Museum exhibition, “Down These Mean Streets: Community and Place in Urban Photography,” which explores the work of 10 Latino photographers who have documented the state of American cities; and the Inti Raymi Festival at the Smithsonian’s National Museum of the American Indian –New York, the George Gustav Heye Center, which honors the winter solstice celebration held by many Andean cultures of Latin America, and their diasporic communities in the U.S.
Student experiences a Latino Virtual Museum digital immersion activity at the Day of the Dead Festival, National Museum of the American Indian, Nov. 2016. The LVM is a place where the Smithsonian Latino Center shares content with digital audiences. (Photo courtesy of the Smithsonian Latino Center). We have funded 10 positions for Latino-content experts throughout the Smithsonian, including the National Portrait Gallery, Archives of American Art, National Museum of the American Indian and the National Museum of African American History and Culture. These experts acquire artworks and objects, and plan exhibitions and programs to accomplish their goals of telling a more inclusive history of the U.S.
Place: In 2009, we launched the Latino Virtual Museum, a place where we share Smithsonian Latino content with digital audiences. Since we don’t currently have a physical space, the exhibitions and programs that we collaborate on are held at the different Smithsonian museums. We use the virtual world to host our own information, including teacher toolkits and short videos that serve as educational resources for Latino content. In the past year, we have been planning for a gallery in the soon-to-be-opened Arts and Industries Building. 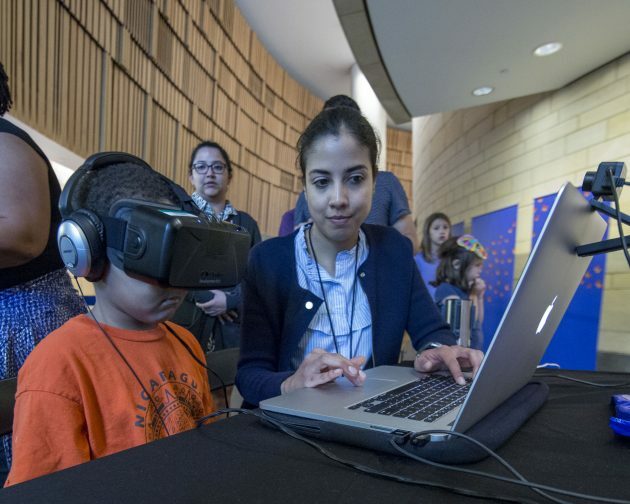 The space will present wide-ranging Latino content to the public visiting the National Mall, making the best use of interactive and digital immersion technology. 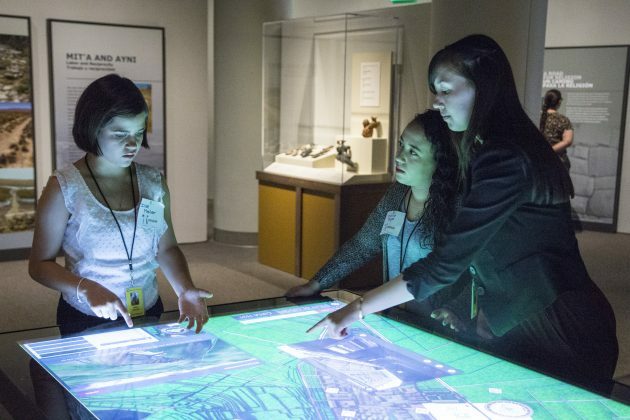 Young Ambassadors Program participants explore an interactive display at the National Museum of the American Indian exhibition “The Great Inka Road: Engineering an Empire,” June 2016. (Photo courtesy of the Smithsonian Latino Center). Q: What are some of the Smithsonian Latino Center’s signature programs? Díaz: Reaching out to our future Latinx[i] leaders is one of the most important aspects of the work we do. Our signature programs focus on promoting learning and leadership among young Latinos. 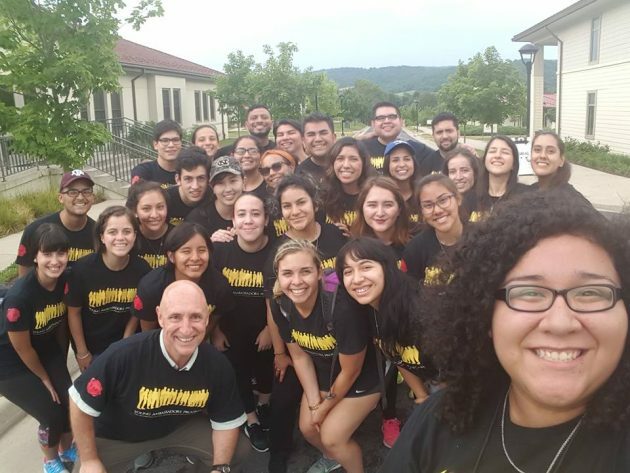 Now in its 11th year, the Young Ambassadors Program fosters the next generation of Latino leaders in the arts, sciences and humanities, by bringing graduating high school seniors to Washington, D.C. for a week of unique learning experiences at our museums and research centers, followed by an internship at a Smithsonian affiliate museum in their hometowns. The Latino Museum Studies Program provides an opportunity for Latinx graduate students to participate in workshops with curators and experts across the Smithsonian, as they explore and discuss the representation of Latino culture in the larger context of the American experience, and hone their skills as future museum professionals. 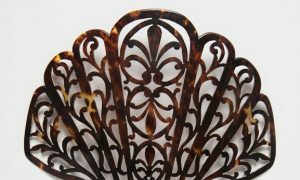 Our ¡Descubra! Meet the Science Expert Program provides science activities for kids and their families at Smithsonian museums and Smithsonian affiliate museums across the country. The STEM (science, technology, engineering, and math) learning is done through hands-on activities and talks with Latino and Latina scientists, enhancing awareness of STEM-based education and professions. 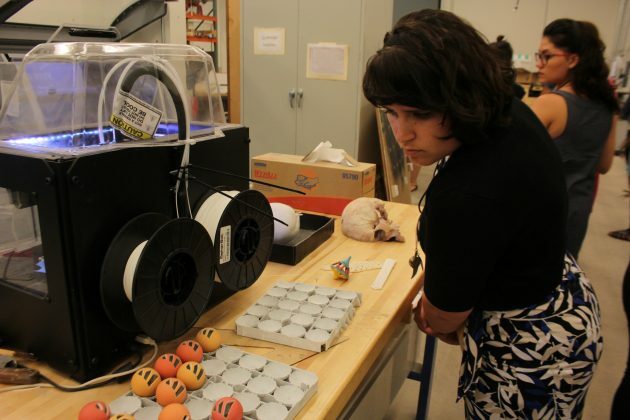 Latino Museum Studies Program participant studies 3-D printed samples at Smithsonian Institution Exhibits, July 2016. The program provides an opportunity for Latinx graduate students to participate in workshops with curators and experts across the Smithsonian. (Photo courtesy of the Smithsonian Latino Center). Q: How has the Smithsonian Latino Center influenced the representation of Latinos in the greater Washington, D.C. area? Díaz: I’ve been director of the Latino Center for nine years and I know a major challenge we face is encouraging Latinos to visit museums. According to a 2010 study by the American Alliance of Museums, less than 10 percent of museum visitors are people of color—that’s all races, not just Latinos. We have to work hard to effectively reach our communities and encourage them to take advantage of all the educational and growth opportunities that our museums have to offer. Providing culturally relevant content is one way to do this. That’s why we started the Latino Curatorial Initiative, and it’s working. The museums that have hired Latino experts are providing more Latino content that connects with the community. I’m proud to say it’s becoming a best practice in the museum world—I’ve been asked to speak about it at other museums, as a model of success. It’s also important to actively reach out to the community. Just because you have an exhibition with Latino content doesn’t mean people will automatically come. There has to be a more targeted marketing and grassroots efforts to invite the community to come. That’s why we get information out to the D.C. Latino community by attending cultural festivals and other gatherings, and distributing information about our museums, programs and exhibitions. And, of course, we need to expand our work in delivering content digitally so that we can reach Latino audiences that may never have a chance to visit Washington. 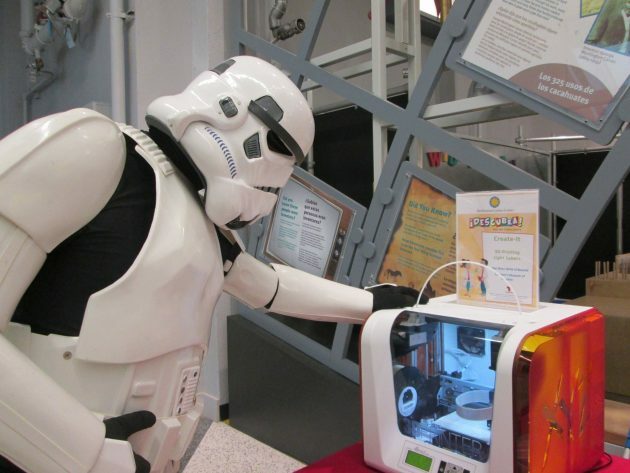 Storm Trooper and 3-D printer featured at a ¡Descubra! Meet the Science Expert Program event at the Children’s Museum of Houston, December 2016. The program provides science activities for kids and their families at Smithsonian museums and Smithsonian affiliate museums across the country. (Photo courtesy of the Smithsonian Latino Center). [i] Latinx is a gender-neutral term for a person of Latin American origin or descent.